Is Sony Entering The Self-Driving Car Market? 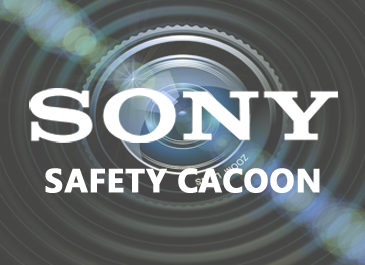 Sony looks to be entering the car dash camera market, along with other car safety equipment by filing a trademark application for the Sony “Safety Cocoon”. By looking at the trademark application, it is clear that the “Safety Cocoon” will offer far more than just a “dash camera” or camera car system. Image sensors made by Sony have been used on many of the best rated dash cams for years now. Their new image censor will go beyond simply capturing a car accident on video, but could actually be integrated into self driving programs. The sensor is intended to be used by driver assist, self driving systems and dash cameras. Tokyo, Japan – Sony Corporation (“Sony”) is announcing the commercialization of a new 2.45 effective megapixel CMOS image sensor for automotive cameras, the IMX390CQV type 1/2.7. Sony will begin shipping samples in May 2017. It looks like Sony has far bigger plans than just a dash camera system for cars, but a whole car sensor system that may be integrated into self driving cars. It’s yet to be seen if part of the “Safety Cocoon” will be used in standalone consumer level dash cameras. Will Sony be entering the self driving car market, competing with industry leaders like Tesla? Attorney of Record Robert B.G. Horowitz, Esq.